Pacific Honda Blog: Three Honda Models Named "Best Family Cars"
For those people, Parents magazine and Edmunds.com recently teamed up to assemble a list of what they consider to be the best family vehicles in the industry in a number of different segments. The dedicated sales team at Pacific Honda were pleased to see that three new Honda models, the Accord, CR-V and Fit, each won their segments. 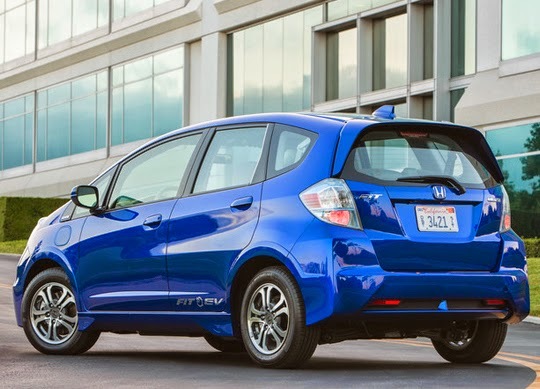 Perhaps the most surprising on this list, the 2015 Honda Fit was given top honors in the budget category, mostly because as a compact hatch it offers a surprising amount of interior and cargo space to go along with great technology and high safety scores, all for an extremely reasonable amount of money. The 2015 Honda Accord and 2015 Honda CR-V, meanwhile, both are IIHS Top Safety Pick+ selections and each offer truly excellent suites of technology to go along with ample leg room and trunk/storage space. Both are efficient, smooth and aesthetically pleasing, which makes them good for a number of different families of varying sizes. If at the end of the day it’s a new Odyssey that your family needs, then by all means take the plunge into the one of the industry’s top minivans, but if you’re looking for something other than that, Honda certainly has plenty of options to offer up.